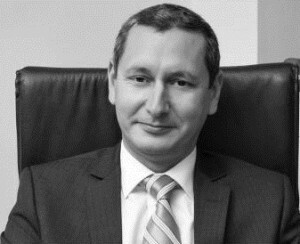 Petar Rizov is the General Manager of NET1. Petar manages NET1, one of the most modern and high-speed optical network for data transfer in Bulgaria with more than 10 years of market presence. Petar has over 20 years of experience in management of companies in the area of consumer goods and telecommunications. His expertise lies in strategic planning, business development, improving operational efficiency, team building and project management. Prior to joining NET1, Petar was the CEO of Management Financial Group (MFG), a non-banking financial institution specialized in micro crediting for individuals and SME’s. Petar also spent over 10 years in Mobiltel- the biggest telecom in Bulgaria, acting as Business Sales Director and Area Director. Petar is a member of the Management Board of The Bulgarian Industrial Association (BIA). Petar holds a Master’s degree in Law from Sofia University and an EMBA degree from American University in Bulgaria.